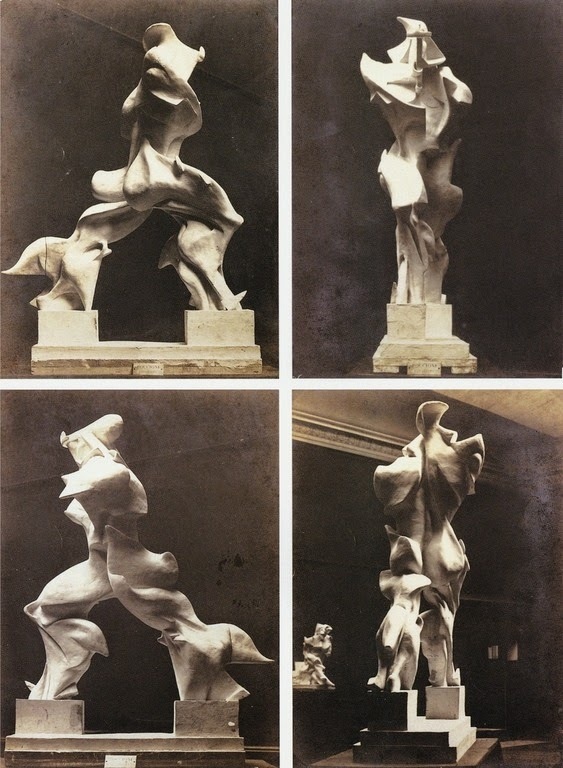 By the end of 1913, the Italian futurist Umberto Boccioni (1882-1916) had completed what is considered his masterpiece, “Unique Forms of Continuity in Space”, in wax. His goal for the work was to depict a "synthetic continuity" of motion. During his life, the work only existed as a plaster cast (photo 1913, private collection - Milan). It was first cast in bronze in 1931. 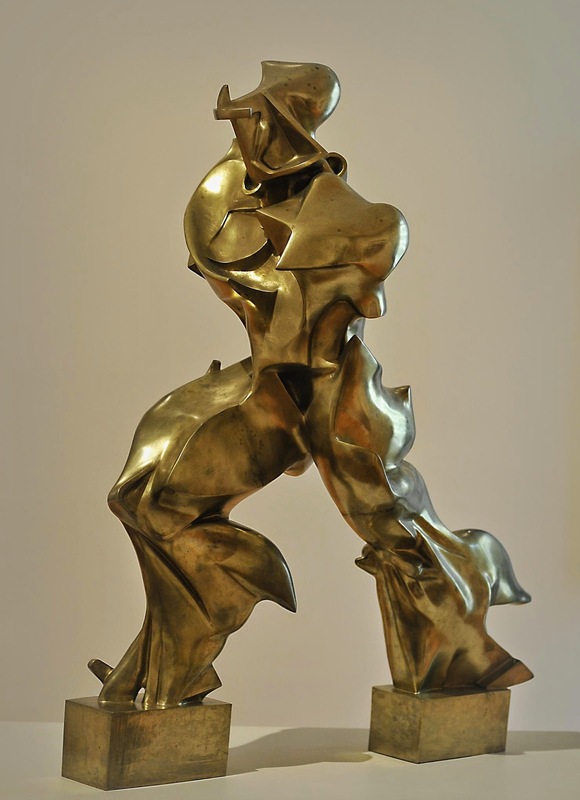 The writing of his Manifesto of Futurist Sculpture, published in April 1914, was Boccioni's intellectual and physical launch into sculpture, as there are no known works before this period. 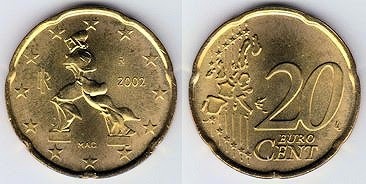 This sculpture has been the subject of extensive commentary, and in 1998 it was selected as the image to be engraved on the back of the Italian 20-cent Euro coin.